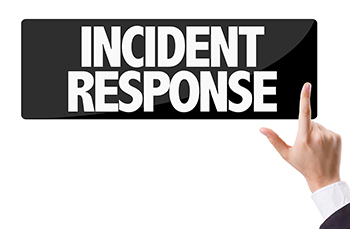 Incident Response - Daily Tech Update – January 10, 2018 | Blue Mountain Data Systems Inc.
OPINION: The New DHS Breach Illustrates What’s Wrong with Today’s Cybersecurity Practices. This month, the Department of Homeland Security notified affected employees about a 2014 breach of 247,167 employee records. There are many interesting details in the department’s disclosure, including the fact that there was six-month privacy investigation between the discovery of the breach and the notification, and the fact that the records were uncovered during a criminal investigation. DHS even revealed that the records were found in the possession of a former DHS Office of Inspector General employee. But the part that jumped out the most was how explicit DHS was about characterizing this as a “privacy incident.” In its public statement, the department made no mention of the incident as an insider threat issue, despite the records being found in the possession of a former employee. Read more. FERC: Proposes Cybersecurity Incident Reporting Rule. On December 21, 2017 the Federal Energy Regulatory Commission (FERC) proposed a rule to direct the North American Electric Reliability Corporation (NERC) to clarify and expand the scope of cyber incident reporting. The rule envisions that the NERC will require reporting of cyber incidents when there is a compromise of or even an attempt to compromise certain network infrastructure. If the rule is finalized, cyber incidents would have to be reported to both the Electricity Information Sharing and Analysis Center (E-ISAC), which is required under the current standard, and the Industrial Control Systems Cyber Emergency Response Team (ICS-CERT), which is an office within the Department of Homeland Security (DHS). Read more.